Terrell Owens? Randy Moss? Or...neither? If you were putting together your football team and had a chance to add either Terrell Owens or Randy Moss to your receiving corps, you would do it, right? Maybe you would, but Bill Polian says he would not take either. 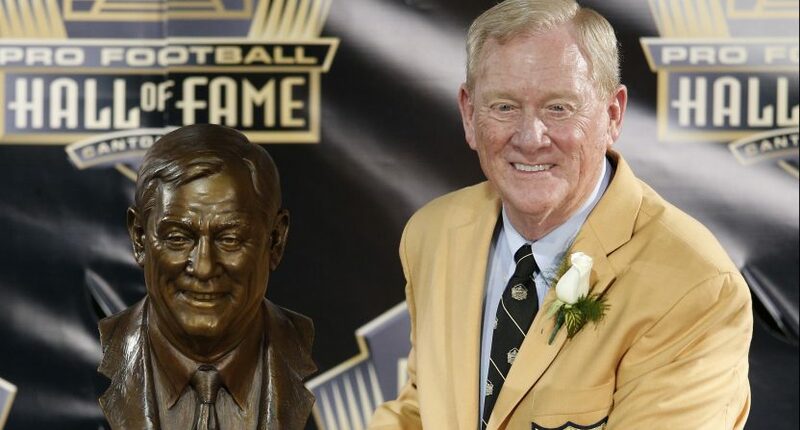 Far it be for us to question the football IQ of a Hall of Fame general manager like Polian, but not taking Owens or Moss on your team given the right circumstances seems a bit silly considering how talented they are. But Polian’s mindset and team philosophy does not seem to fit the mold of a one that can make room for the antics and egos thought to be owned by Owens and Moss. In an interview with the Talk of Fame Sports Network, Polian explained why he would pass on Owens and Moss if either became available to him during their careers. “I take neither,” he said. “First of all, here’s my position: (I want players who) contribute both individually and to the team. T.O.’s situation, T.O.’s temperament, his ability to contribute to the team was well known up front. He was going to be a problem. We did not want to deal with problem children. Others may. We didn’t. From an executive’s standpoint, you can understand the reason to hesitate adding players that either take plays off or bring strong personalities to the team. It is a risk-reward situation though, and sometimes if you want to get a team over the hump, then you roll the dice. The Philadelphia Eagles finally got over the NFC Championship Game hump after adding Owens to their roster (even though Owens was injured for the playoffs before the Super Bowl his first year in Philly), but the relationship with T.O. deteriorated quickly the following season to the point where Owens was suspended for doing situps in his driveway. The New England Patriots took a chance on adding Moss to their roster with Tom Brady and put together a record-setting offense en route to a perfect 16-0 season before being upended in the Super Bowl by the New York Giants. Polian gets an out here because he did help deliver a Super Bowl to the Colts by sticking to his core philosophy. Had the Colts not picked up a Super Bowl victory over the Chicago Bears, the Peyton Manning era would have been a colossal disappointment. And to the defense of Polian and the Colts, they did have Marvin Harrison and Reggie Wayne for a number of really good years too, so the need for a dominant go-to receiver like Owens or Moss was minimal.